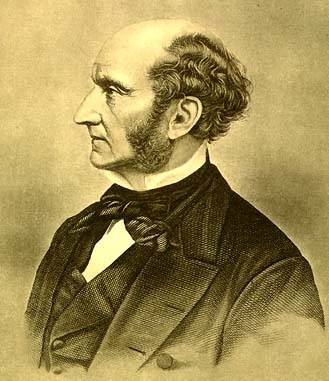 In his essay “The Subjection of Women,” John Mill proposed the emancipation of women in terms of unleashing their potential in their daily lives as well as in the political world. He unfolded his arguments on three utilitarianism rationales: First, women would get rid of traditional prejudice and gain feasible benefits from the emancipation. Second, the amount of physical and mental contributions to the society would virtually be doubled. Third, the unexpected enrichment of society would encourage us to be more eager to find out something that has never happened in practice before. Women were usually considered emotional, submissive and less intelligent compared to men. Therefore, before and in Mill’s era, women were educated and trained to be better domestic engineers. However, Mill attacked this view by raising the question that whether one should deny the potential capacity of women in the society just because they had not given the chance to try. He claimed that anything that had not been practiced before was not necessarily to be “wrong,” since we could not predict whether it would facilitate the society or not before putting it in practice. Mill thus solicited support from those would-be cons for the emancipation of women, most of which fortunately has been realized in today’s world from hindsight. For instance, he claimed that, on the one hand, women could acquire benefits from working outside the household and thus won independence in the marriage, coupled with confidence and happiness gained from the life. On the other hand, men could also benefit from the female competition and companion in terms of lessening the household economic burden and sharing the intellectual development of both parts, and therefore of all individuals in his society. As a result, not only the physical, but also the mental contribution would greatly enrich the society. Probably more importantly, Mill’s view of emancipation of women and its outcomes would encourage us to be more positive in the unknown world. If it turned out to be favored in the society’s interest, we could adopt it; if not, we might discard it or qualify it under some specific conditions. For the modern music revolution, before the era of Mozart and Chopin, many musicians were indulged in religious or court styles, rife of the wild and extravagant expression but short of the passion for humanity and the music improvement itself. Chopin not only invented a new music form–instrumental ballade–but also contributed to the innovation of many contemporary styles in terms of nocturne, piano sonata, mazurka, impromptu, and etc., which thereafter could be widely understood and accepted by general people. from → Cooperation, Quality of life, What makes life worth living? I found your analysis of Mill’s points to be spot on. I especially liked the specific examples of how women have contributed to the world upon being treated as equals. These help to refute the nay-sayers that, as you mention, felt that there was no reason to treat women as free, equal individuals. It would be interesting to consider how much more still needs to be done . You bring up examples to support showing how we are nearing equality, but things like the wage gap and the proverbial “glass ceiling” continue to be testaments to its absence.